Aside from a series of inadequate efforts to investigate the December 2003 massacre in Gambella town, the Ethiopian government has not taken action to prevent ENDF forces from committing human rights violations against Anuak communities or to punish the individuals responsible for those abuses. Indeed, federal authorities have not publicly admitted that the military has committed any abuses in Gambella since December 2003. Regional and police authorities have also been unable or unwilling to respond to persistent complaints of abuse by members of affected communities, who report that military authorities have often responded to such complaints with hostility and threats of further violence. The December 2003 massacre is the only case of human rights abuse committed by the Ethiopian military in Gambella that the Ethiopian government has made an effort to investigate or remedy. The governments response, however, has been inadequate and often disingenuous. Some moves have been made by the federal police to investigate and punish highlander civilians who took part in the massacre, but these efforts have been haphazard and have resulted in few reported convictions.175 Many Anuak victims of the violence told Human Rights Watch that they were still living surrounded by the same neighbors who had attacked their families on December 13, 2003, despite having provided the names of their attackers to federal police investigators. The federal government eventually demoted Dr. Gebrehab and transferred him to Tigray to become the head of its Regional Health Bureau, but he has never faced any formal investigation or sanction related to the massacre. Federal and regional authorities have not compensated the massacres victims. Soldiers and highlander civilians were ordered to rebuild many of the destroyed homes in Anuak neighborhoods in the weeks following the massacre, but they did such a poor job of constructing them that most of the houses were uninhabitable from the moment they were built.180 At the time of Human Rights Watchs research mission, these houses could be seen scattered throughout Anuak neighborhoods in Gambella town. Most were overgrown with weeds and many of their walls and roofs had collapsed. None of the houses were inhabited. after they razed the neighborhood during the December 2003 massacre. The house was so poorly constructed that no family was willing to live in it, and its roof quickly collapsed. 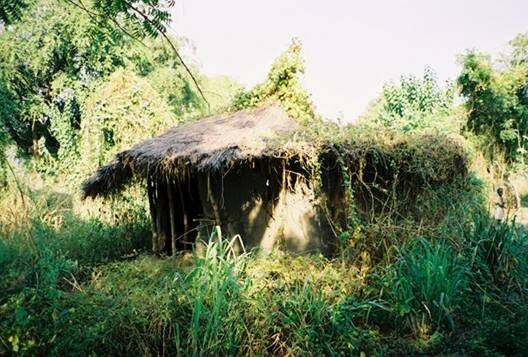 Similar houses are scattered throughout Gambella town. The Ethiopian Government has not publicly admitted that ENDF forces could have been involved in or committed serious human rights violations in Gambella since December 2003 and has taken no effective steps to halt those abuses or hold perpetrators accountable. No explanation has been offered even for the highly visible attacks that have destroyed entire Anuak villages and neighborhoods. Ethiopia Accuses Rebels of Inciting Killings, Reuters, December 17, 2003. Itihad al Islamiya is an insurgent group operating primarily in the Somali region of Ethiopia that is accused of having ties to international terrorist groups. Human Rights Watch interview with witness #32, Gambella, late 2004. Human Rights Watch interview with witness #2, Ruiru, Kenya, late 2004. Human Rights Watch interview with witnesses #12 and 52, Gambella, late 2004. Commission of Inquiry Final Report. Human Rights Watch interviews with Anuak sources and regional officials, Gambella, late 2004; Human Rights Watch interview with federal government official, Addis Ababa, late 2004. Exchange News Network, Ethiopia: Eight Suspects Detained Over Gambella Violence, January 16, 2005, [online] http://www.ennmedia.com/ennlive.php?subaction=showfull&id=1106002233&archive=&start_from=&ucat=& (retrieved February 7, 2005). Human Rights Watch interviews with Anuak sources and federal official, Gambella and Addis Ababa, late 2004. Troops under Tsegayes command have committed human rights abuses in Abobo town and Okuna kebele. See supra, Abuses Committed by the Ethiopian Military Against Anuak Civilians in 2004. Human Rights Watch interviews with regional officials and witnesses #61 and 63, Gambella, late 2004. Human Rights Watch interviews with witnesses #35, 39 and 45, Gambella, late 2004. Human Rights Watch interview with witness #39, Gambella, late 2004. Human Rights Watch interview with witness #62, Gambella, late 2004. Human Rights Watch interview with witness #37, Gambella, late 2004. Human Rights Watch interview with witness #56, Gambella, late 2004. Human Rights Watch interview with witness #38, Gambella, late 2004. Human Rights Watch interview with witness #59, Gambella, late 2004. In that particularly egregious case in October 2004, two soldiers dragged two women from their homes in the middle of a densely populated neighborhood in Pinyudo and raped them as horrified neighbors looked on helplessly. Human Rights Watch interview with witness #35, Gambella, late 2004. Human Rights Watch telephone interview with Anuak source, Addis Ababa, January 27, 2005. Human Rights Watch interviews with witnesses #12, 52, 59 and 63, Gambella and Ruiru, Kenya, late 2004. Human Rights Watch interview with witness #63, Gambella, late 2004.